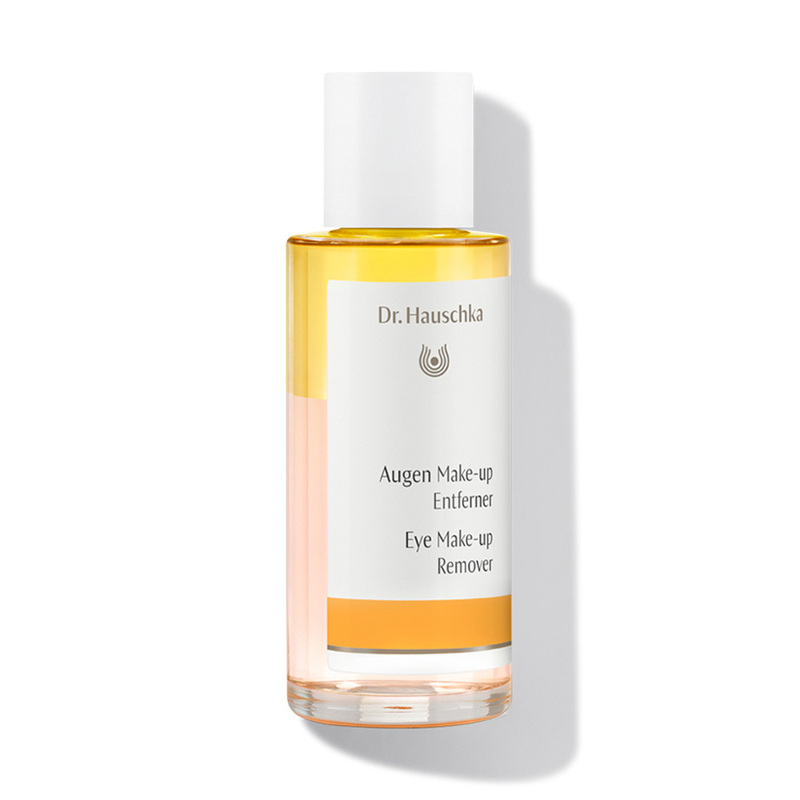 Two-phase cleansing: Dr. Hauschka Eye Make-up Remover. The dual effectiveness of our Eye Make-up Remover is evident at first glance: Two phases – one oil-based and one water-based – sit clearly one of top of the other. By shaking the bottle, the two components combine to form a gentle yet thorough cleanser. 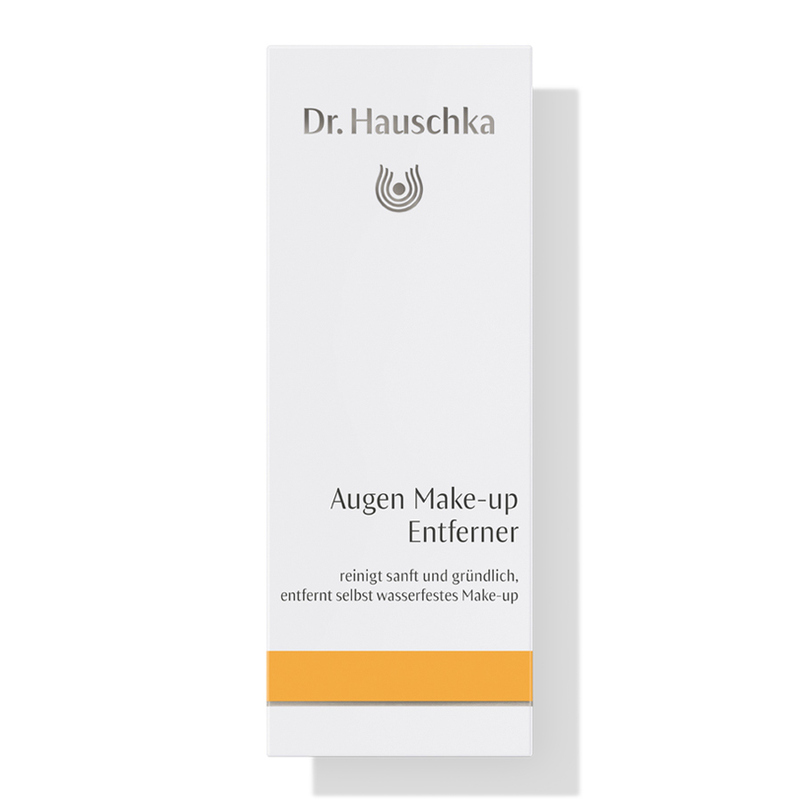 Even waterproof make-up comes off easily with Dr. Hauschka Eye Make-up Remover. The excellent compatibility of the Eye Make-up Remover has been confirmed in opthalmological and dermatological tests. Our Eye Make-up Remover is a certified natural cosmetic product. The Eye Make-up Remover gently and reliably cleanses the sensitive skin in the eye area – removing even waterproof eye make-up. In the same step, it cares for the skin with light, fast-absorbing oils, leaving the skin feeling pleasantly cleansed and silky smooth. The composition with precious rose water and nourishing plant extracts of eyebright and fennel harmonises and soothes the particularly delicate and sensitive skin in the eye area. 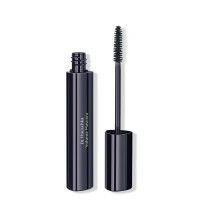 Premium-quality sesame and sunflower oils nourish the eyelashes and eyebrows as they preserve the skin’s natural hydrolipid layer to leave it feeling relaxed and carefree. This dual-phase composition reliably cleanses the delicate eye area to leave it free from both water-soluble and waterproof make-up. The excellent compatibility of the Eye Make-up Remover has been confirmed in opthalmological and dermatological tests. Shake the Eye Make-up Remover before use to combine the oil and water phases. Moisten a cotton wool pad and gently wipe across the eye working outwards. If necessary, leave on briefly and allow to work. Next, use Dr. Hauschka Cleansers to remove any dirt and make-up from the rest of the face. 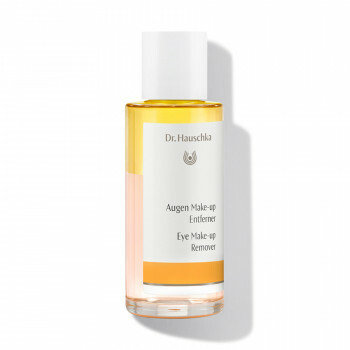 Dr. Hauschka Facial Toner and Serum optimally prepare your skin for its nightly regeneration phase. 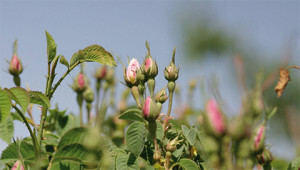 On account of its harmonising power, the rose can be found as essential rose oil, rose water, rose wax or rose petal extract in almost all the Dr.Hauschka Skin Care range. It was already the symbol for love, beauty and grace at a very early stage and in Ancient Greece it also signified joie de vivre. 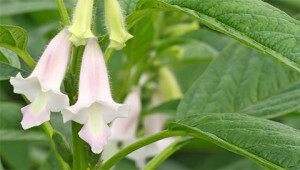 Eyebright relieves various inflammations of the eyes and eyelid margins. 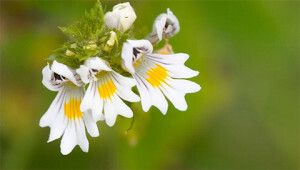 The reason for the scientific name Euphrasia comes from the Greek and means gladness or wellbeing.